Ummm…YUM! This salad is sure to be a hit for all of you. In my house, we don’t typically go through much sparkling wine, but as I read this recipe it screams for a sparkling Rose’. 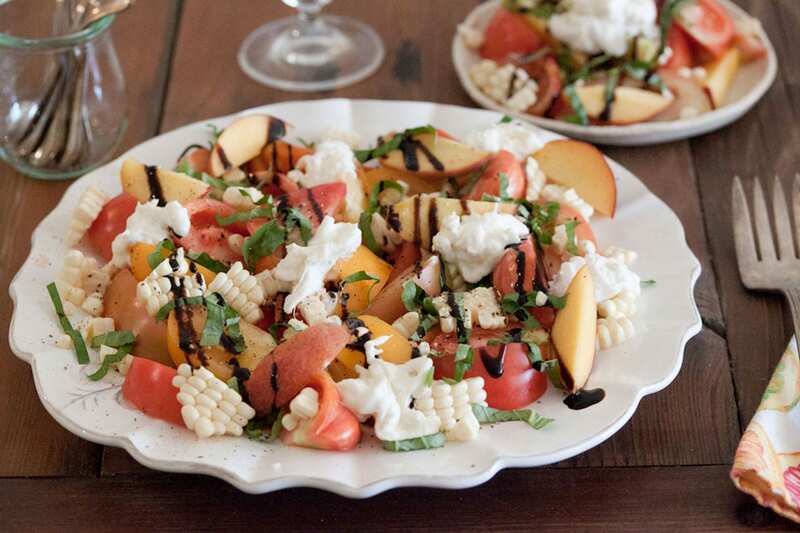 Arrange the peaches, tomatoes and corn on a large platter. Distribute the burrata evenly across the platter.